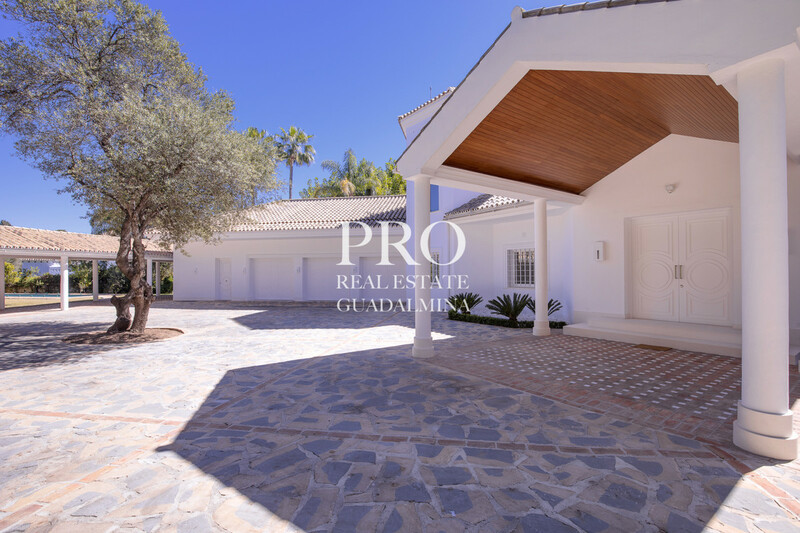 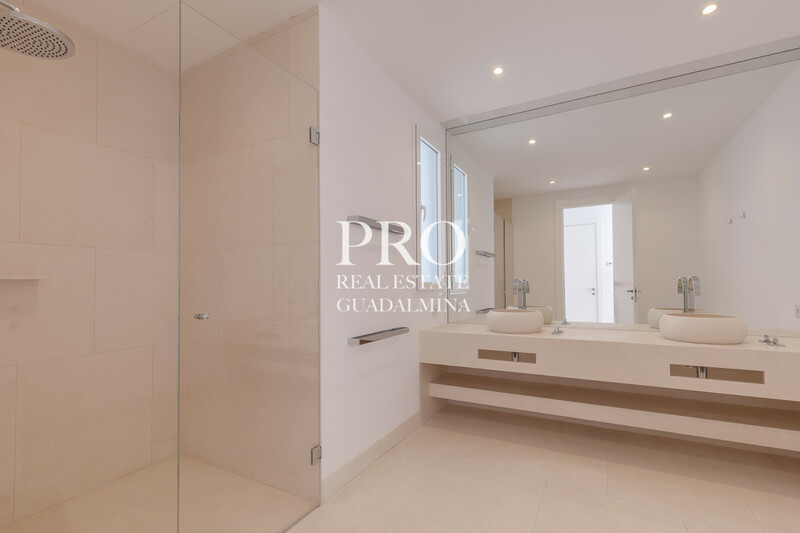 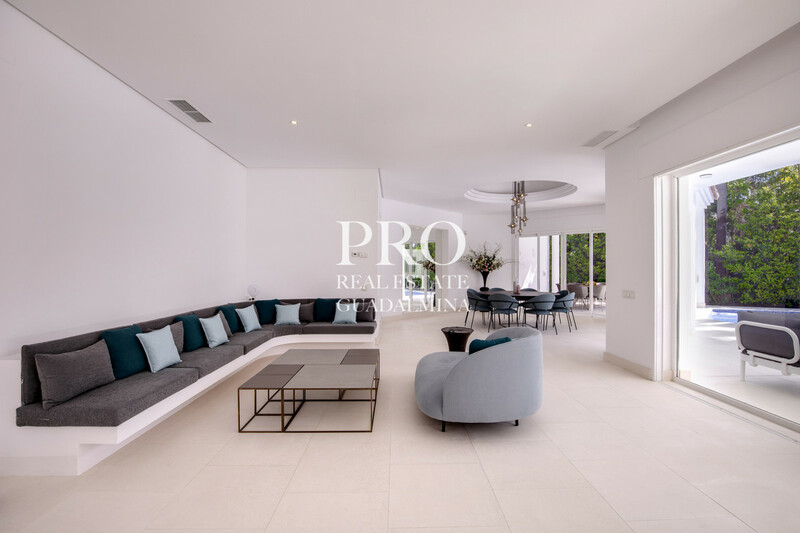 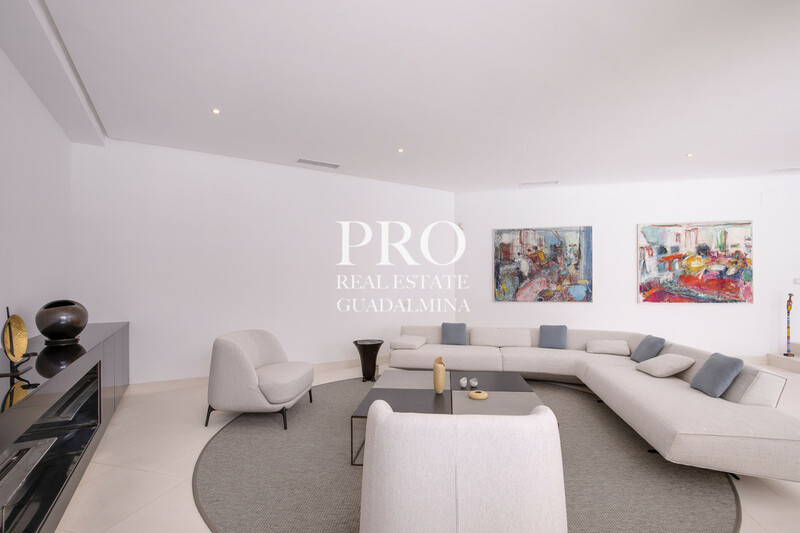 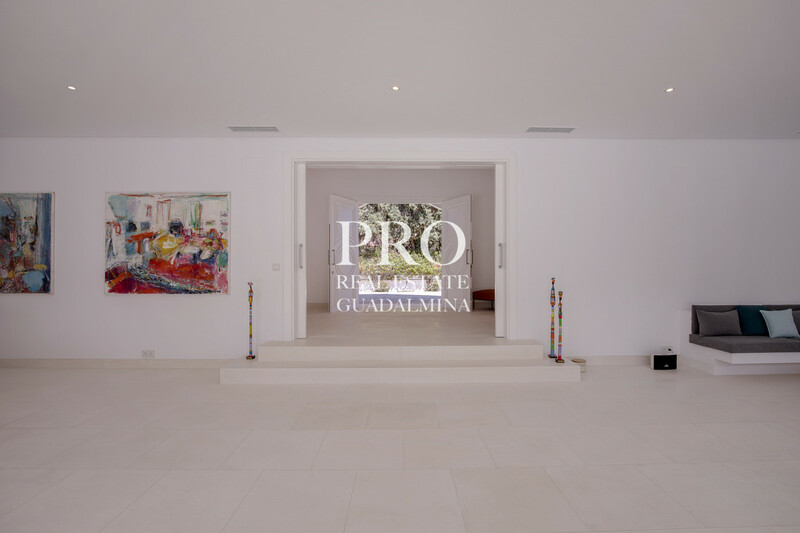 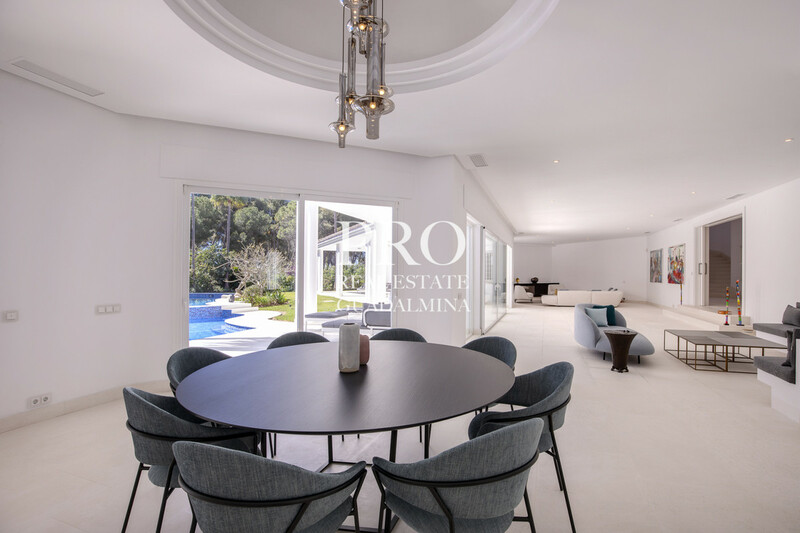 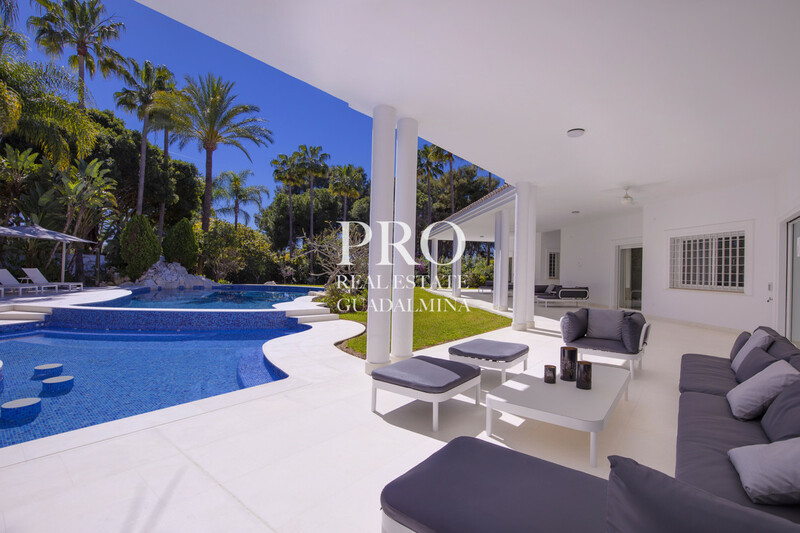 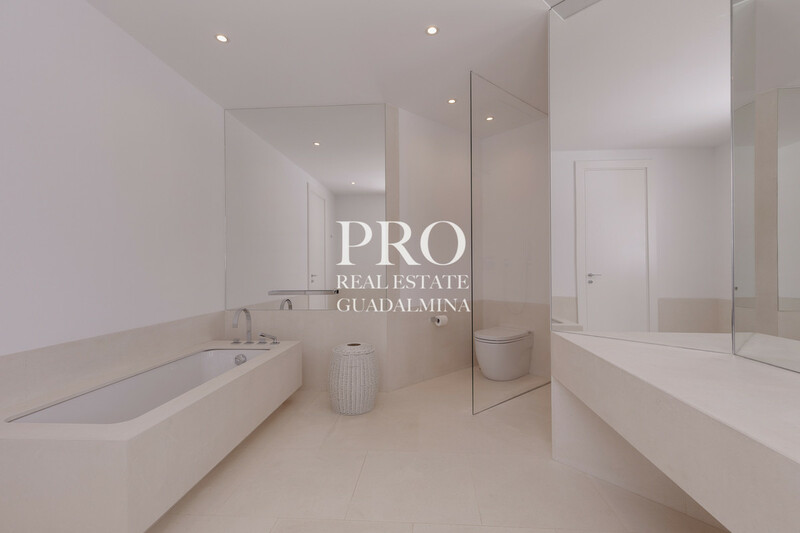 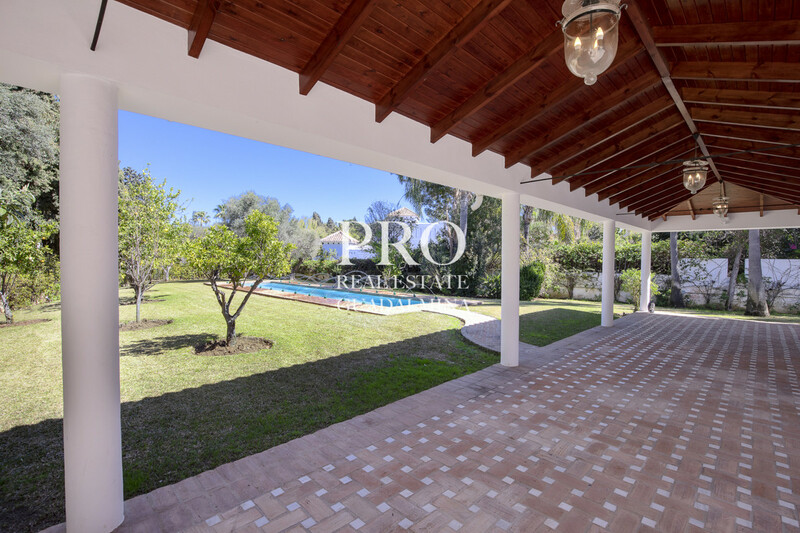 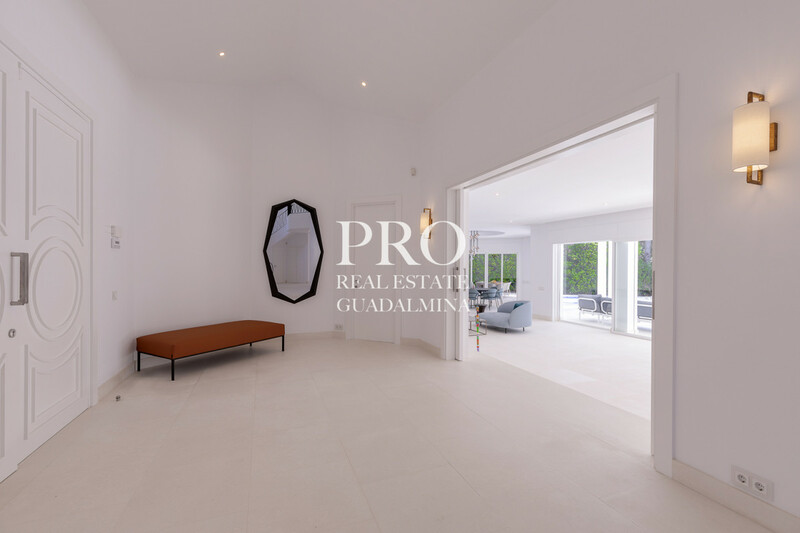 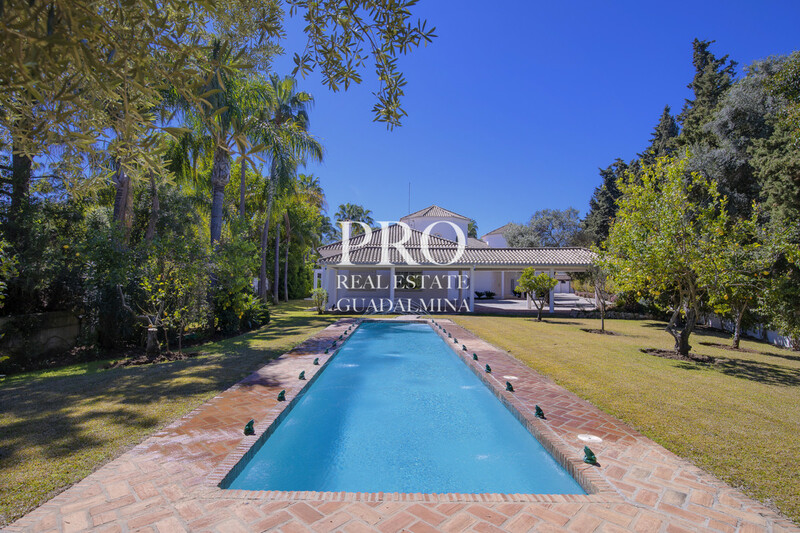 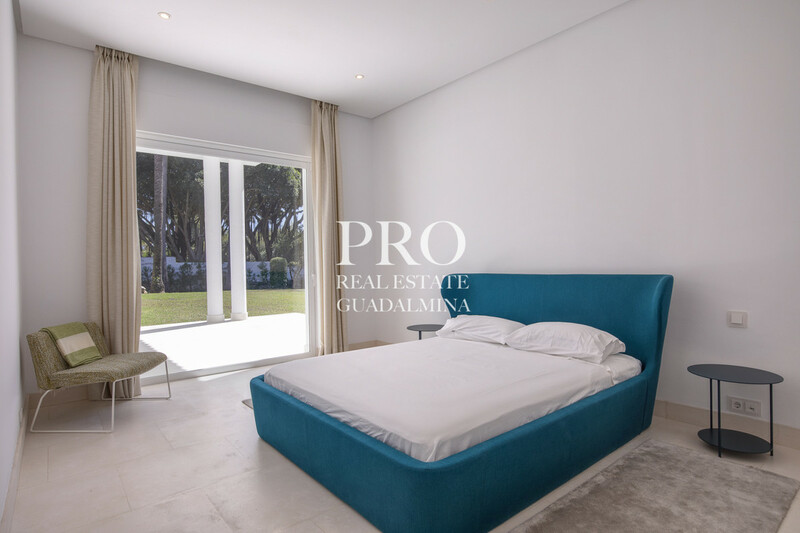 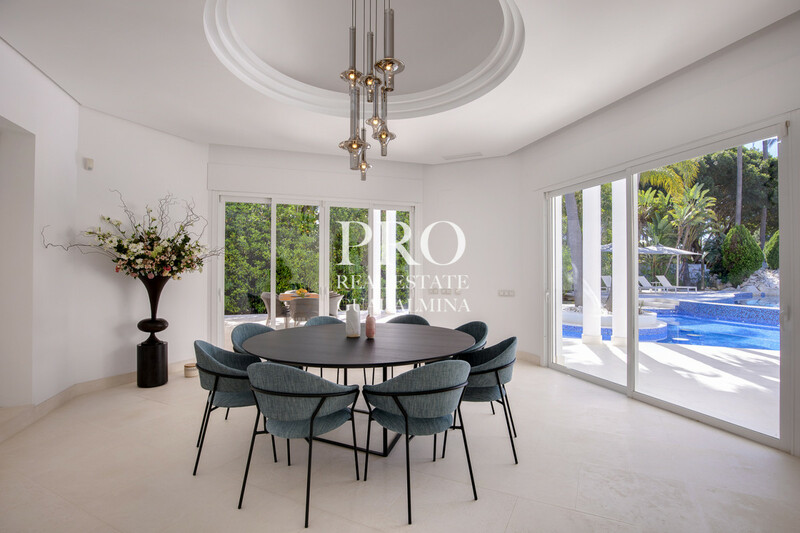 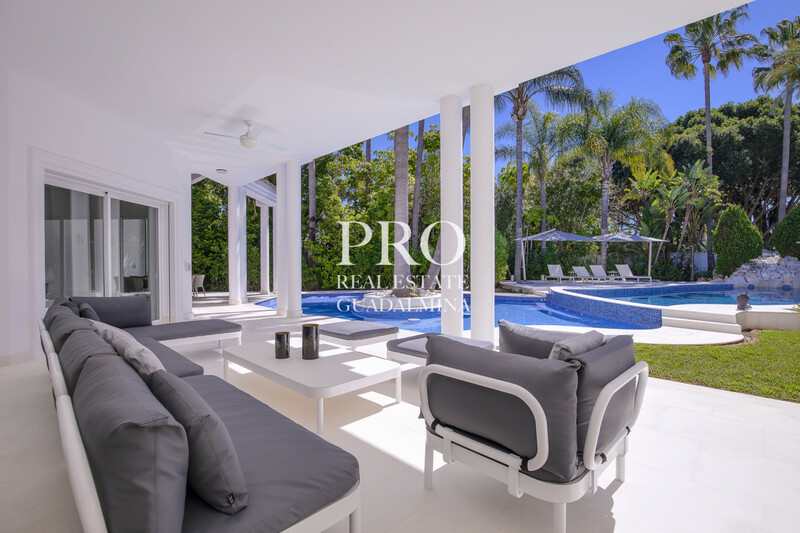 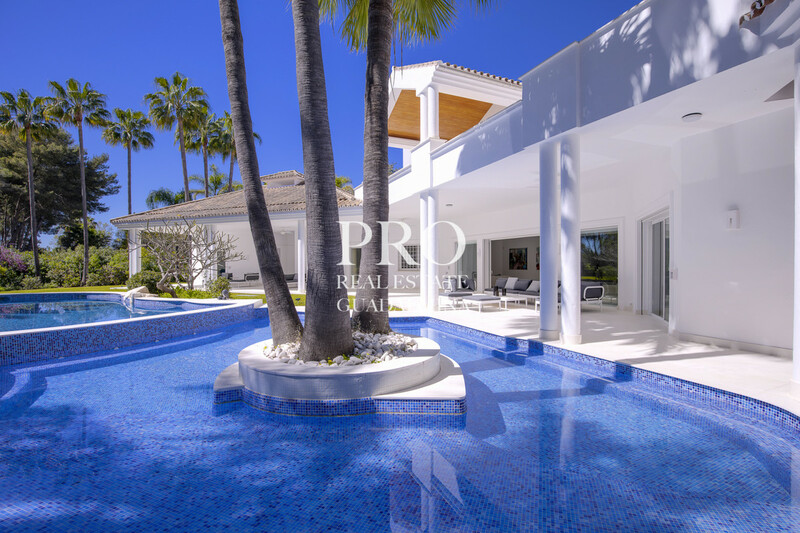 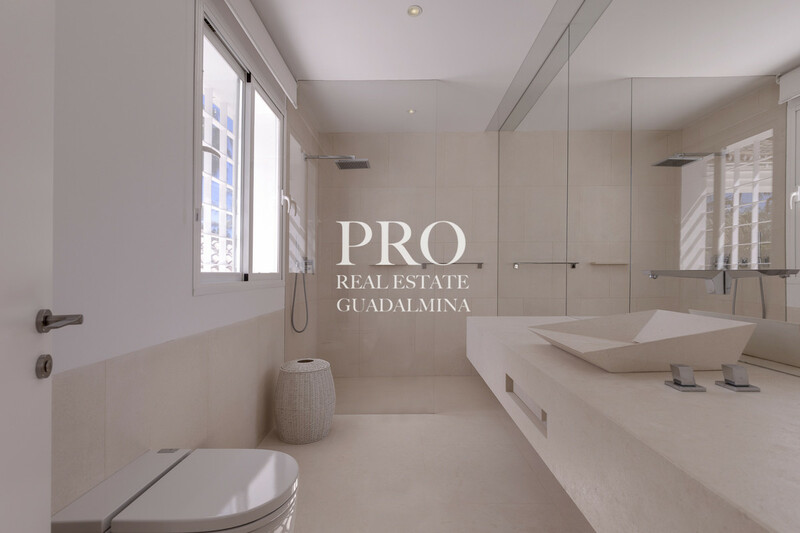 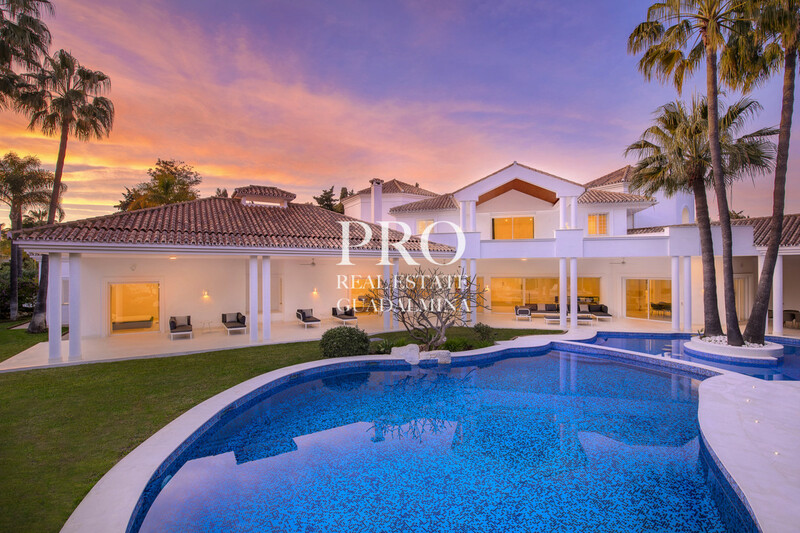 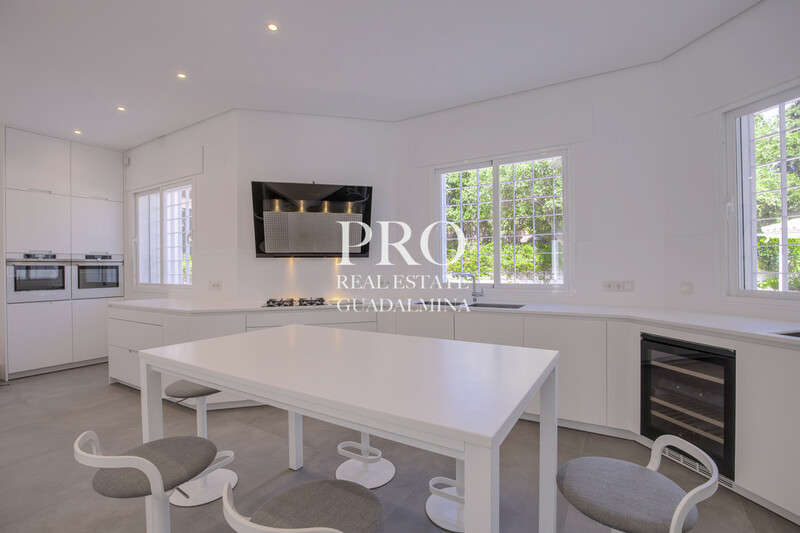 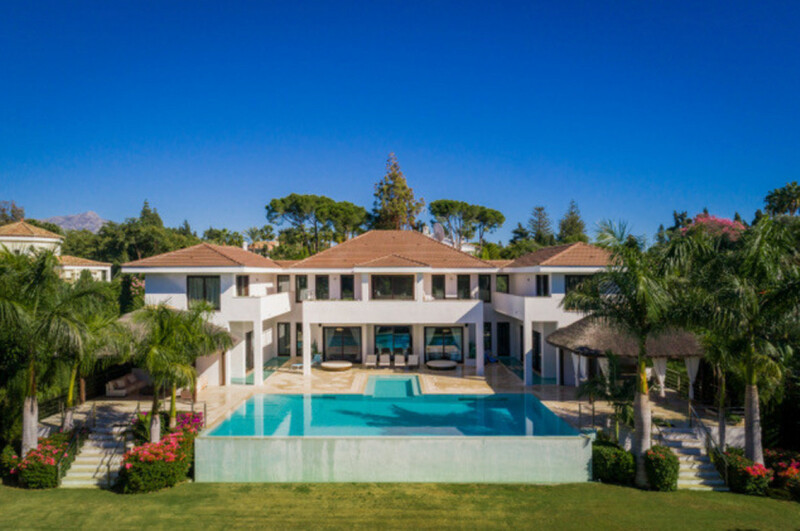 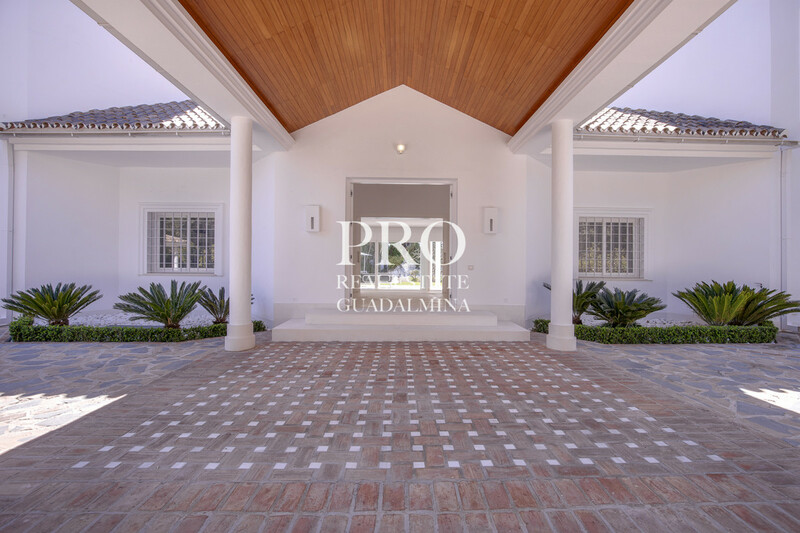 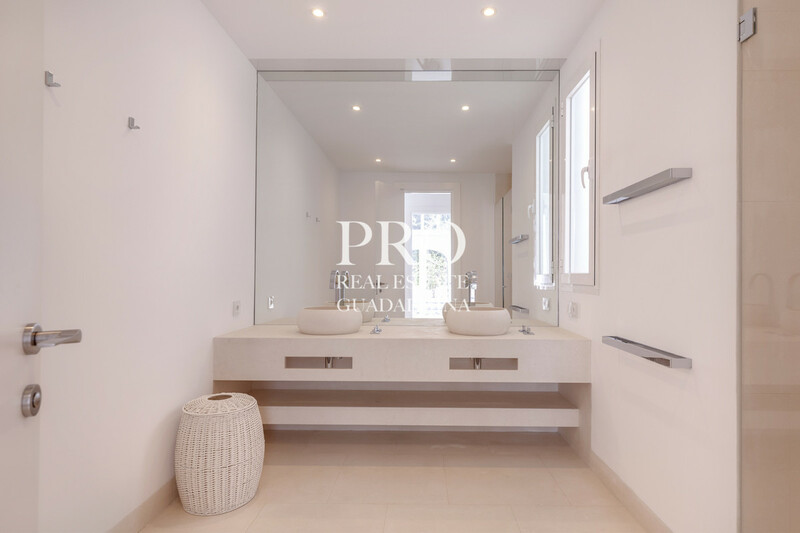 Majestic beachside villa in the prestigious Guadalmina Baja. 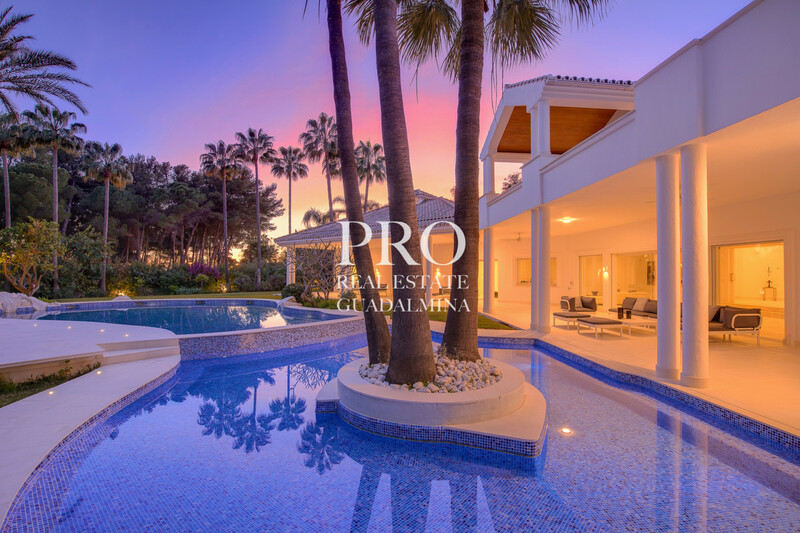 Ideally located, very close to the beach, the golf course and the well-known 5 Star Guadalmina Beach Hotel. 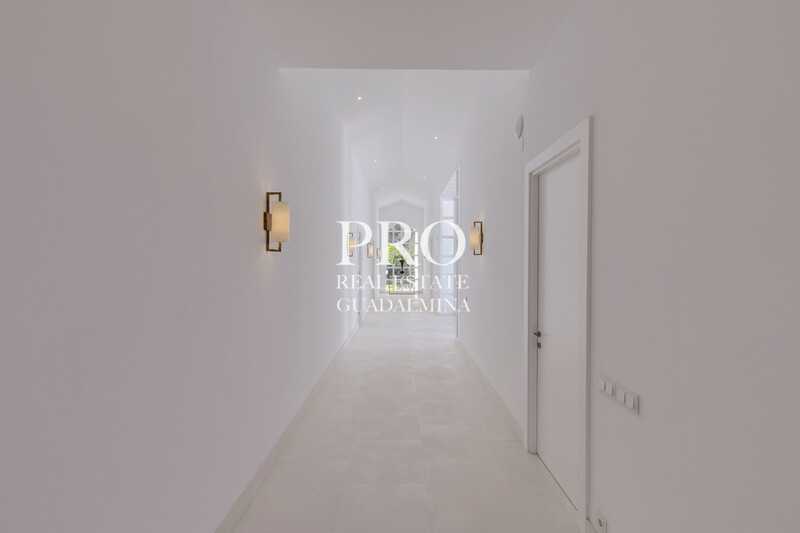 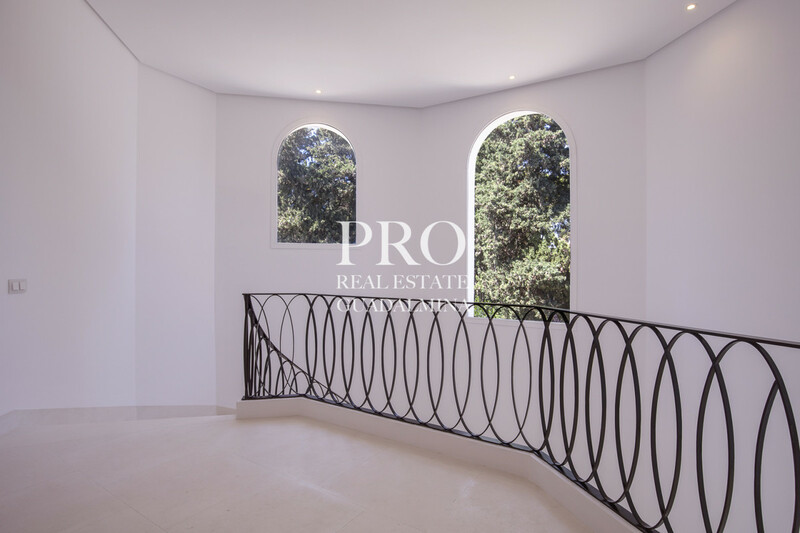 This beautiful mansion has just been totally renovated to the highest standards. 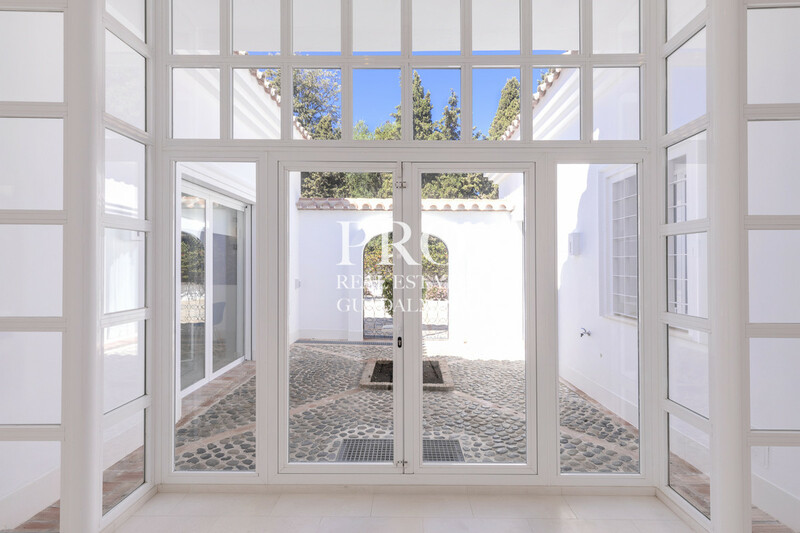 An impressive driveway leads us to the entrance hall featuring very high ceilings and inviting us into a large living room with double glazed sliding doors opening onto the south facing covered porch and garden- pool area. 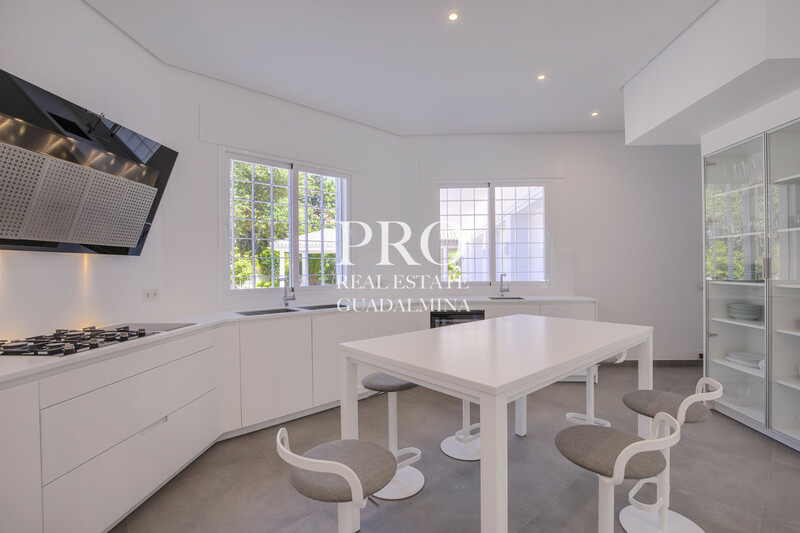 A large, contemporary and fully equipped kitchen interconnects with both winter and summer dining rooms. 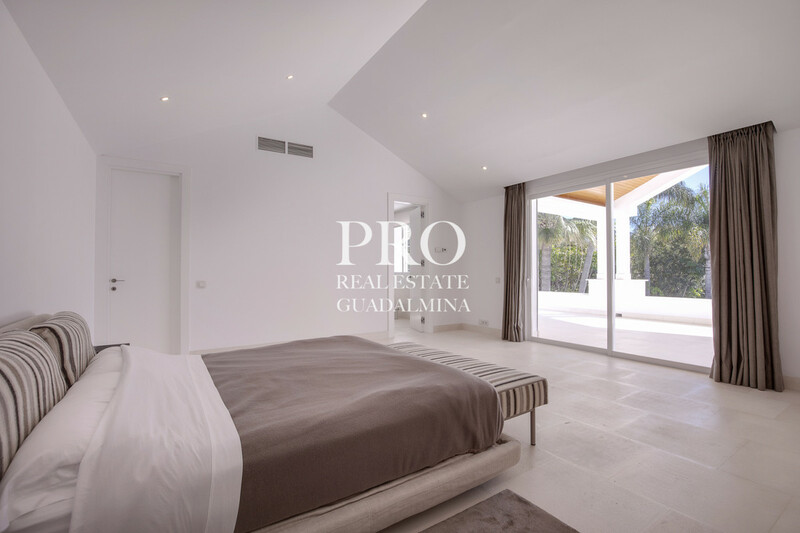 On the same level we find a gallery which communicates to three en suite bedrooms and an entertainment-library room. 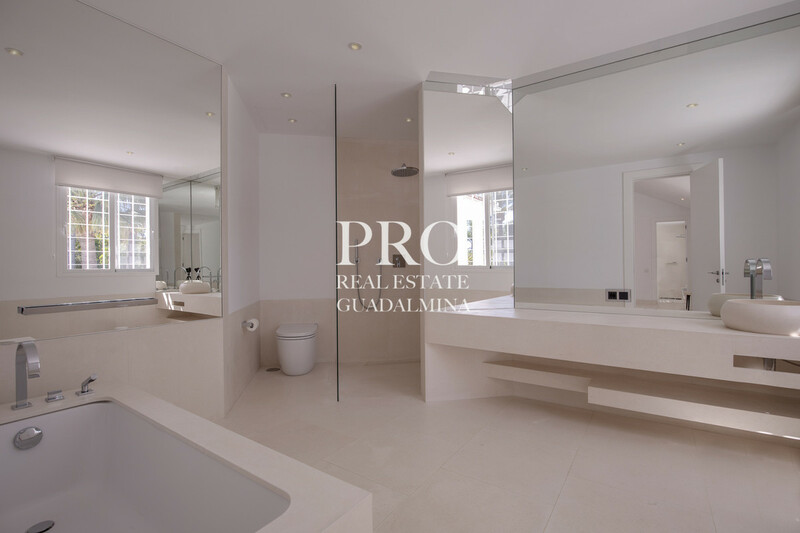 Separate guest toilet. 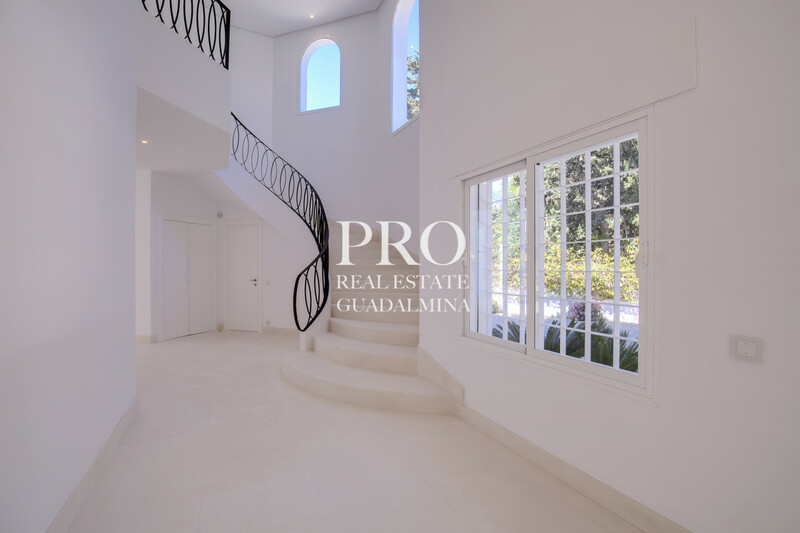 An elegant staircase brings us to the upper level of the house where we find the impressive master bedroom featuring a dressing room and his and her en suite bathrooms. 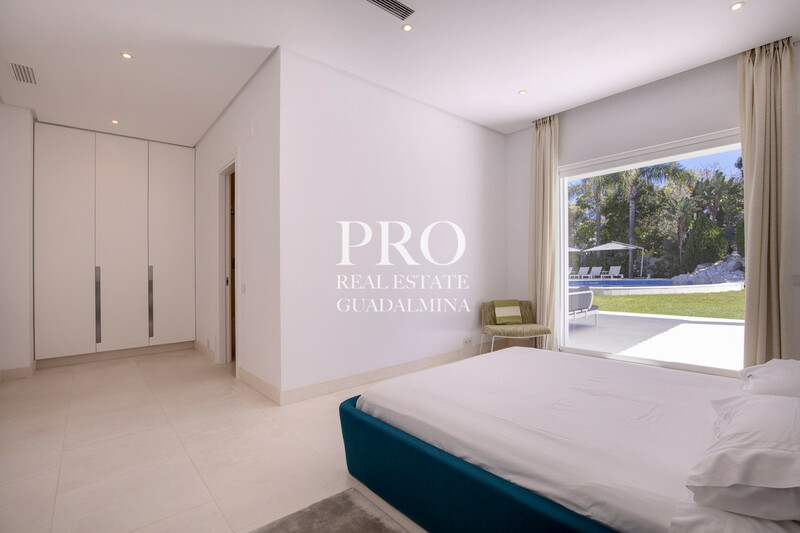 The master bedroom leads onto a large sunny terrace overlooking the luscious garden and pool. 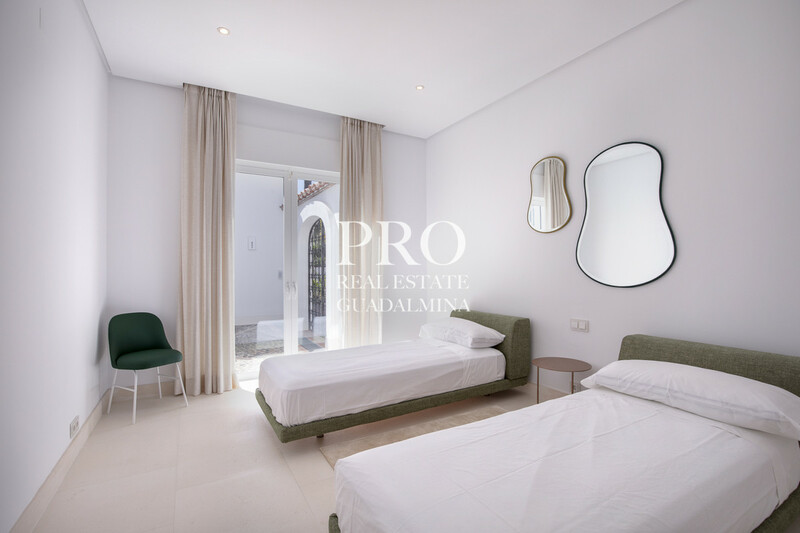 An additional bedroom with its own en suite bathroom is located on the upper level and accessible from the room adjacent to the kitchen. 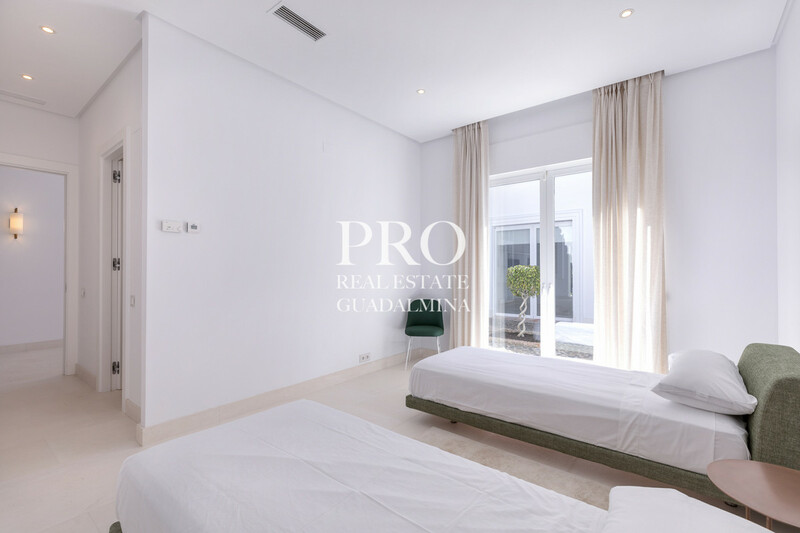 The property offers several covered parking spaces, a spacious separate staff apartment and storage room. 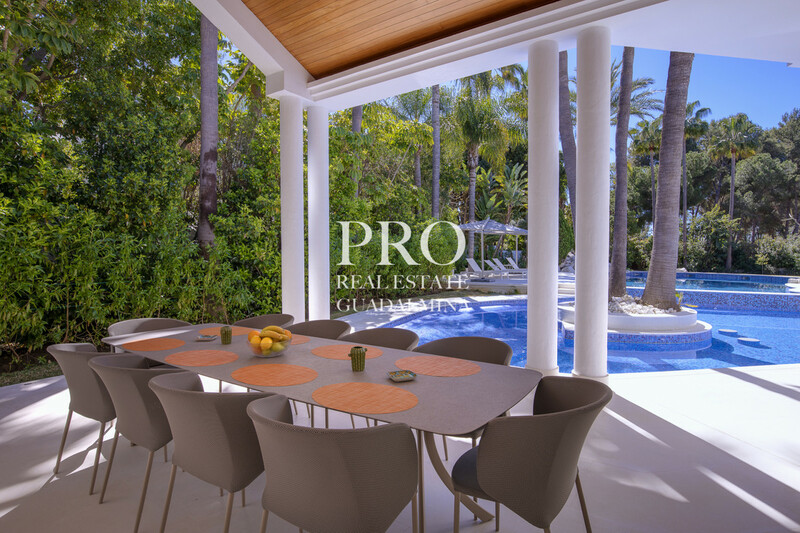 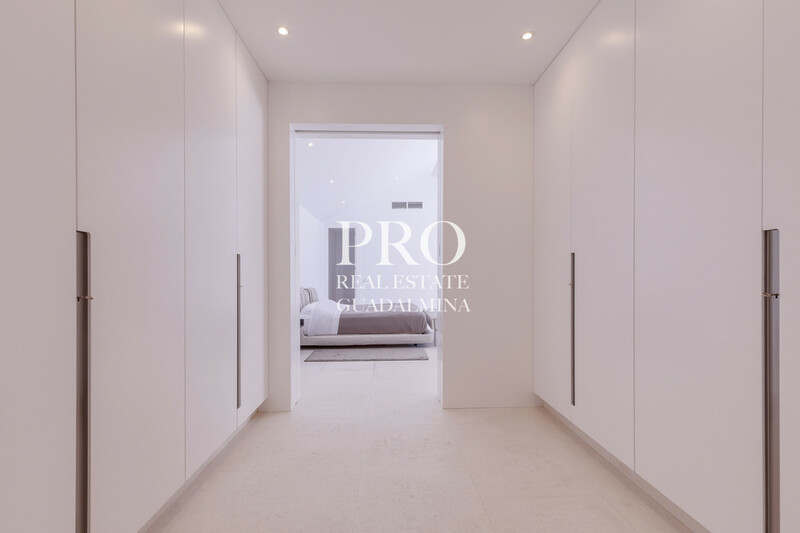 The property features underfloor heating and air conditioning. 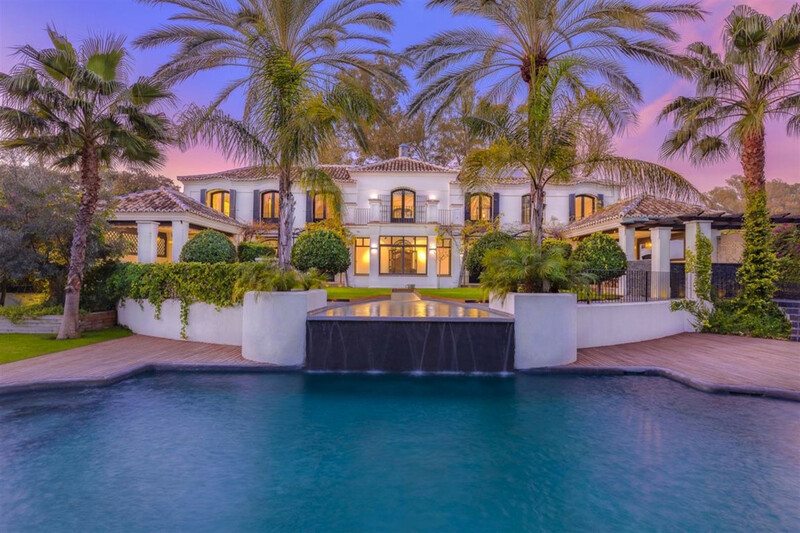 There are two separate saltwater pools and one Jacuzzi. 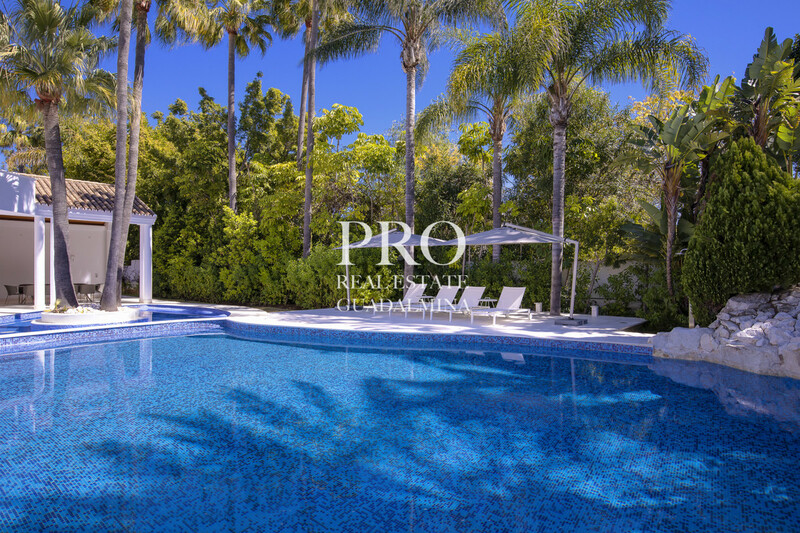 All pools can be heated. 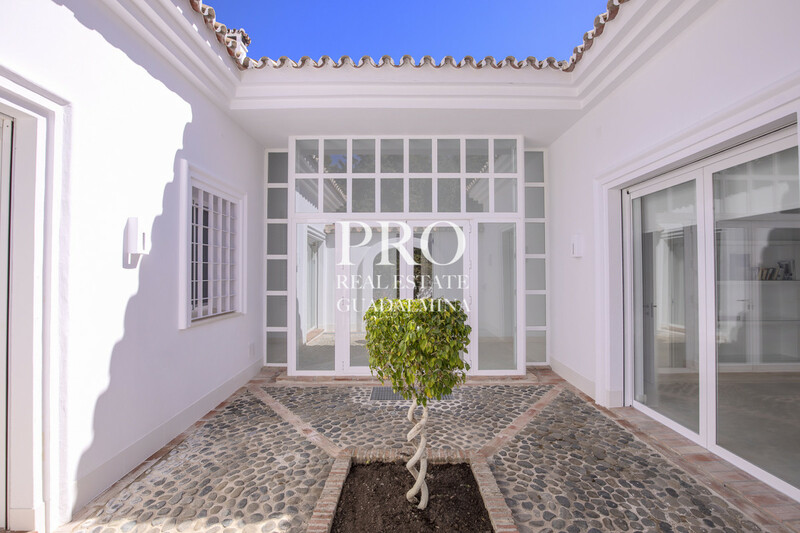 The property also features solar panels. 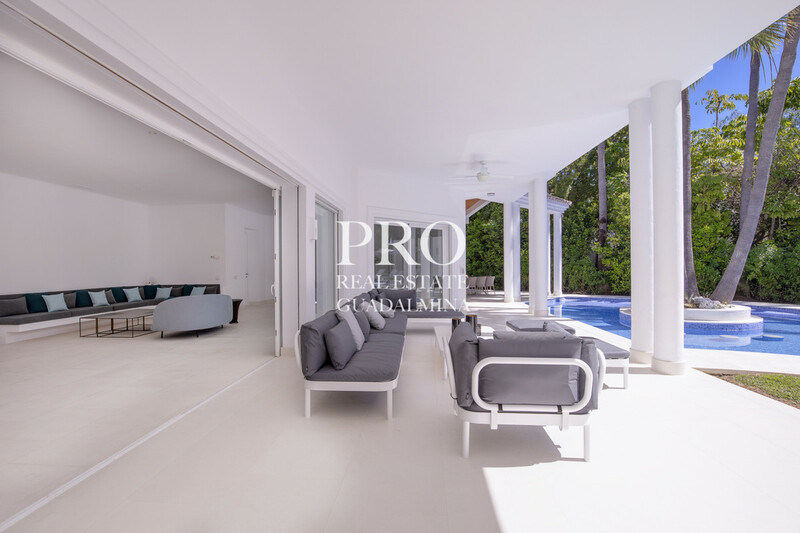 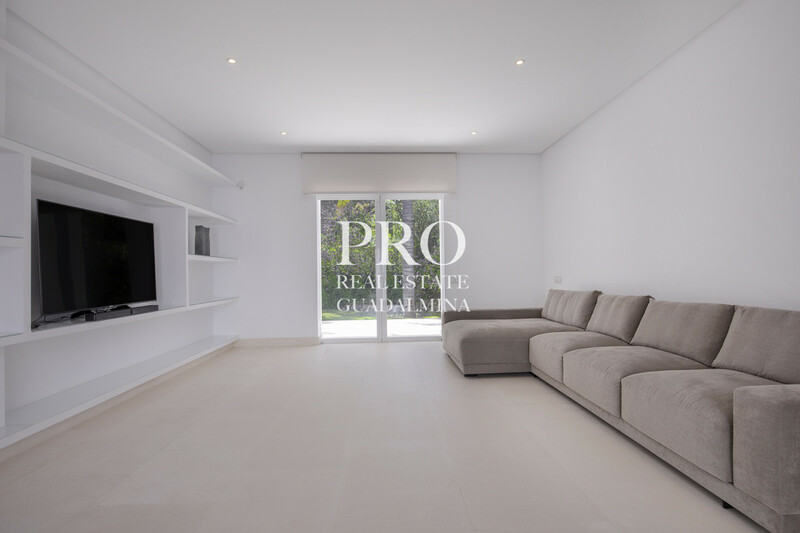 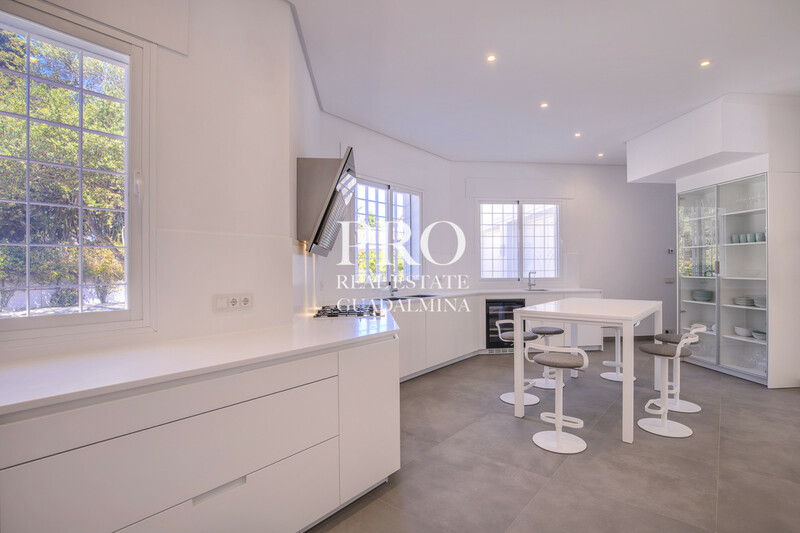 The villa has an elegant contemporary style and is ready to be moved in at a very interesting price. 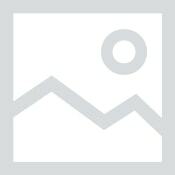 I would like more info about #R3388798 or similar properties.